Did you know infertility, heavy bleeding, severe pain, headaches, moodiness, bloating, tiredness, weight gain and feeling sick can be stopped or reversed with a few easy steps? I didn’t either…until I responded to an ad. Over fifteen years ago, I felt stuck in a body that was tired and in pain… like thousands of other women… from severe PMS symptoms, allergies, acne, weight gain, strained relationships and being exhausted all the time. Months and years were filled with missing school, work, spending tons of money and time to get healthy only to feel the same or worse. I was really mad when I found out how easy it was to take control of my health, body, and how I feel about myself. 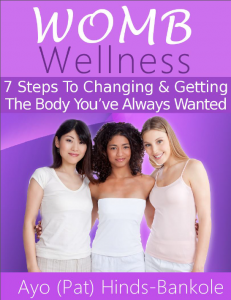 Let me show you 7 simple steps to changing and getting the body you’ve always wanted…so you can feel rejuvenated again from the inside out! Many of us have done the “right thing” yet there seems to be an unknown behind the feel better and look good lifestyle, including getting a body that goes through normal cycles every month (void of pain, excessive inflammation or heavy bleeding), or can conceive a pregnancy. If you’re feeling stuck, worried, confused or disappointed I know how you feel! Ever since I got healed, I’ve been helping many who are just like you. I’ve shown them how to use natural remedies like essential oils to heal our body, mind and spirit naturally…and stay healthy consistently…saving money at the same time. Download your free ebooklet TODAY!